Sure, mazes are good fun, but they're also great pre-writing practice, helping build muscle strength and developing fine motor skills. 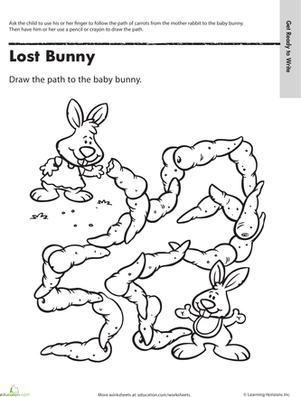 Help Mama Bunny get back to Baby Bunny. Click here for more maze mania. 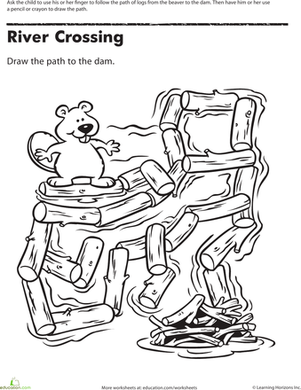 Beaver cross the river in this printable maze. This leprechaun looks lost. Can you help him find his way back across the rainbow maze? Captain X has a treasure map, but he accidentally lost it! 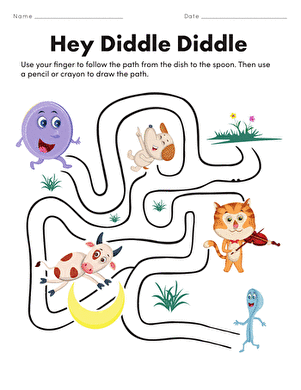 Can you help this silly pirate find his map by completing this X-shaped maze? 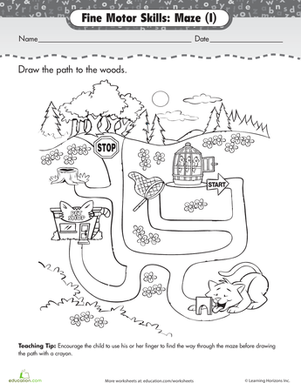 Help these little birdies fly home to the woods by winding your way along the maze path from start to finish. This little bumbling bee is lost. Can you help him find his way through the maze of clouds and to the flowers in the center?